How to request a call recording transcription? You can request Toky to turn any of your call recordings into text. Call transcriptions are useful to analyze calls, get some details about your conversations with customers or to add the text to your systems. 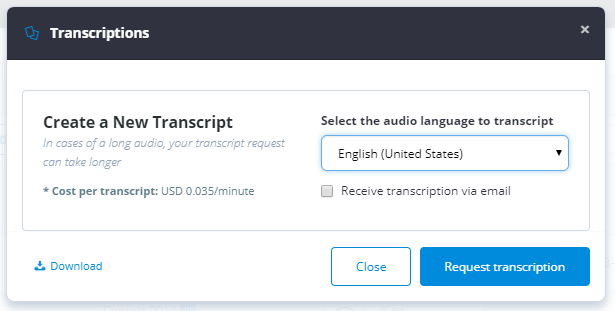 After clicking the button, you get a window where you can see the cost per minute of the transcription, and you must select the language and decide if you want to receive the text by email.